You might be wondering, why do many companies use 6 axis robotic arms ? Why not 3, 4, 5, or 7 ? As you can guess, those robots are best suited for some applications, and less for other. But which ones ? 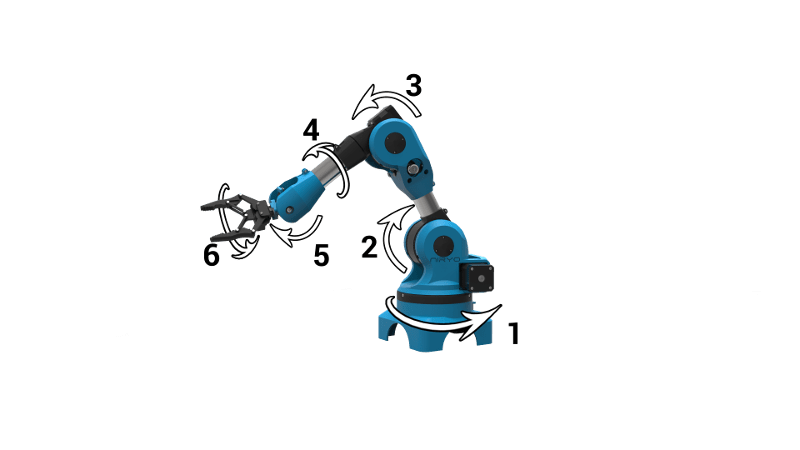 In this post we’ll explain you when you would want to choose a 6 axis robotic arm for your application. What is the main characteristic of a 6 axis robotic arm ? Write text on a desk, on a wall, or any other surface. Those controls allow to be quite precise, but they are not always obvious, especially when you need to do a complex move, with a complex orientation. Finding the points by yourself, just with the numbers, can be quite a long and hazardous task. That’s why some robots have a “learning mode”, like Niryo One, to allow you to “program” the robot just by moving it with your hands. The robot will then know its precise position, thanks to encoders on all the 6 axis. Is 6 axis necessary for all use cases ? 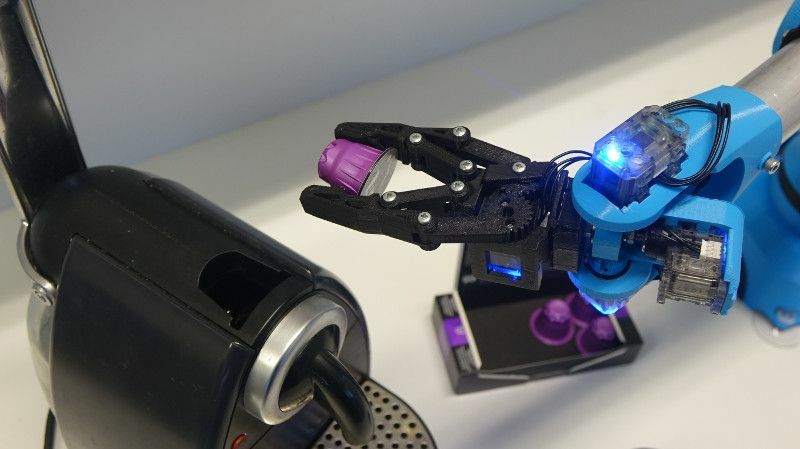 No, a 6 axis robotic arm can be a total overkill solution in some cases. For very specific applications that require precision, but no complex movement, a more simpler robot can be better for the task. Let’s say you are building a basic 3D printer, or CNC machine. Using 6 axis might provide you with nice features, but honestly, it will be a perfect example of over-engineering. A machine like that just needs to use 3 axis (translation x, translation y and translation z), the rotations are not needed, since you operate slice by slice on the z axis. 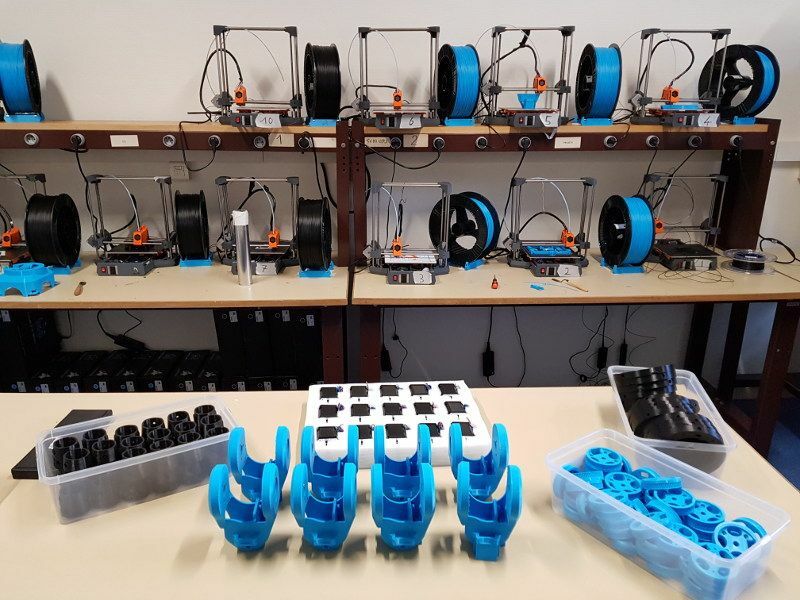 OK, but now, how to handle a bunch of 3D printers ? The machine itself can be made with only 3 axis, but how do you automate a line of those ? Here comes the 6 axis robotic arm. 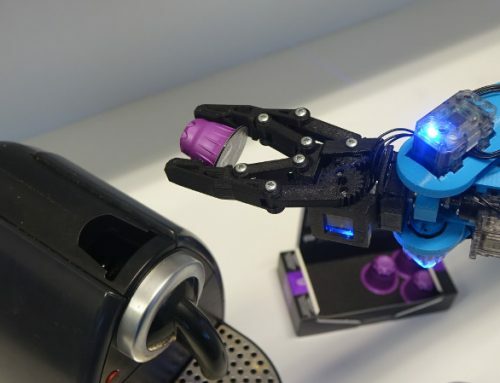 This robot will be able to pick a 3D printed part, press some buttons and launch the next printing. 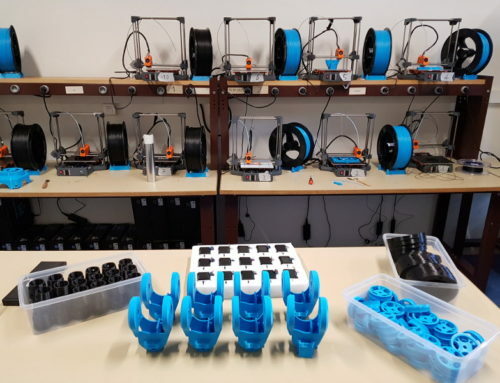 With one robot you can control many 3D printers. Imagine now that you are operating in a difficult environment with many obstacles. You use motion planning to move the robot to pick some objects, and the planning often fails because there is no mathematical solution. Although a 6 axis robotic arm can reach any place, this become harder if there is an obstacle in the way. A 7 (or 8, 9…) axis robotic arm has its place here. It will be able to bypass an obstacle, and reach an object the way you want. A 7 axis robot will also be more suited for very precise industrial use cases, such as welding. You can choose a different configuration to reach an object, and avoid some singularities (points where the robot will be “stuck”). The robot can then be prepared to optimize complex trajectories with many points to reach. As you can guess, this kind of robot is mostly used for industrial use cases with specific requirements. For most of standard applications you won’t need it. So… When to choose a 6 axis robotic arm ? Pick and place where you need to grasp object from the bottom ? Press buttons on a machine, load it, unload it ? Interact with a coworker to give him/her some tools and hold some objects before placing them in a box ? You want to do complex movements. Your application is not just one single task (ex: cutting wood on a table), and it would be too complicated to integrate many different machines. You want to be able to reprogram the robot, to use it for totally different tasks. Not sure about buying an industrial 6 axis robotic arm ? We both know that they can be very expensive. There is now a new trends in robotics : accessible robots. They are perfect for professional training, education, and to make a small assembly line without exploding the budget.